Selamat Hari Raya! It’s finally Syawal and I’ve been waiting for this month ever since the first day of Ramadan. I know I’m 4 days late but Selamat Hari Raya to all those who are celebrating this festive season. 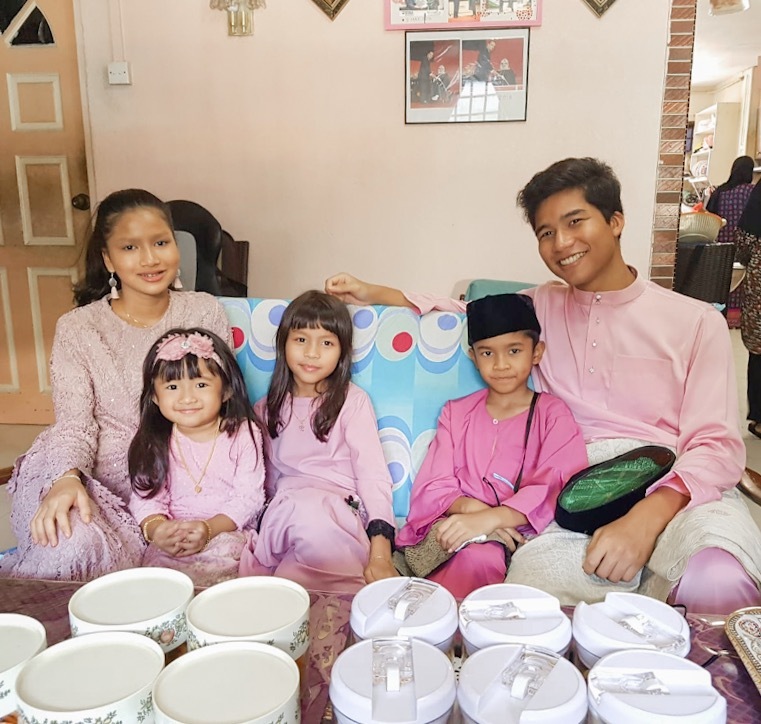 It’s no secret that Hari Raya is one of my favourite holidays of all time because of the food, the music and just meeting people I’ve not seen in a year. I didn’t get any photos of the food but I was sure occupied with the lontong, roti jala, sambal udang and so much more. 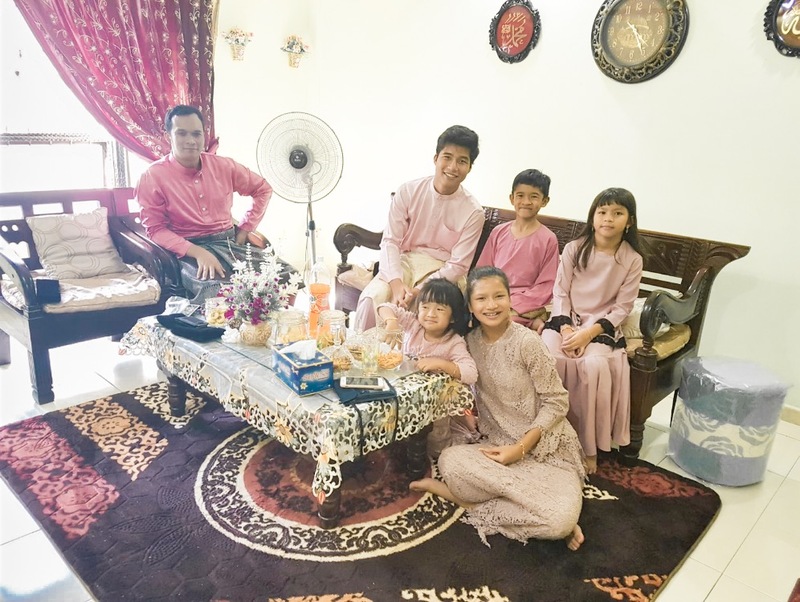 The first few days of Hari Raya started off with a blast this weekend and my family’s theme this year was pink! 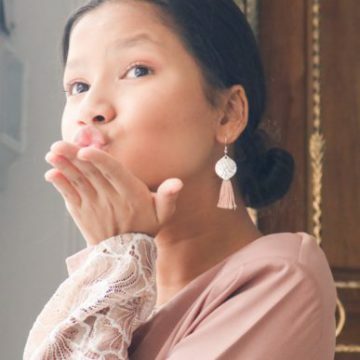 I went for more of a dusty pink look and these 2 pieces that I wore were from Zalora. They were (somewhat) cheap yet comfortable and pretty. This first one was a brownish-pink Baju Kurung that had flared sleeves. It was a little too big when I received it so I got it altered to fit me nicely. 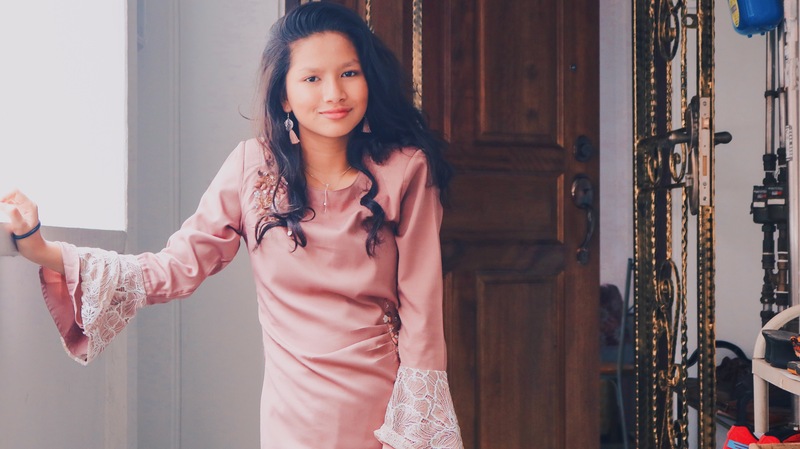 The material was super comfortable and soft which made it very easy for me to carry out the Raya Visiting Festivities from one house to another. 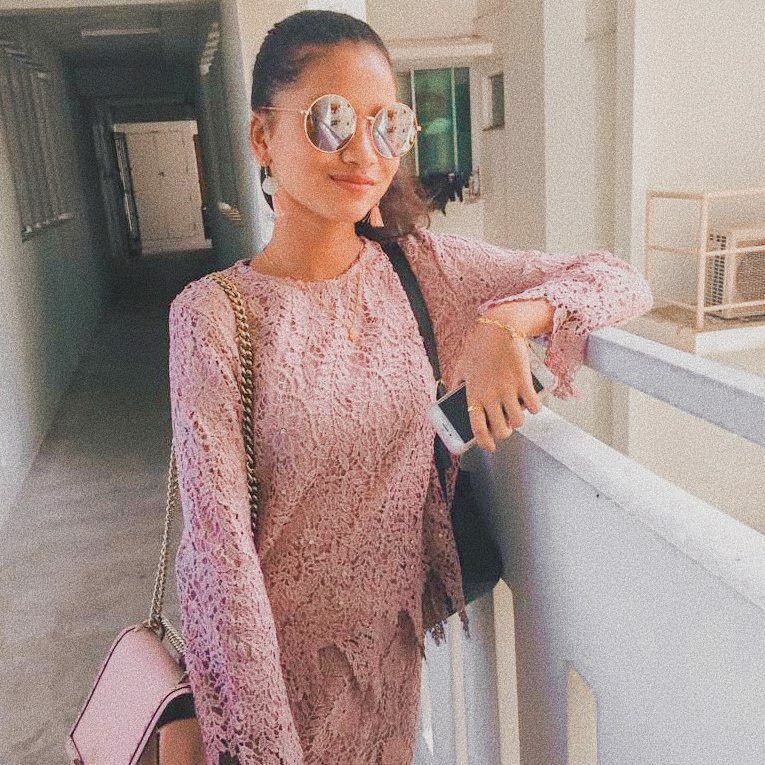 The second outfit of the weekend was a lace Baju Kurung. I’ll admit that this wasn’t as comfortable because it’s lace. I did get a few mentions that this resembled a table cloth (once you see it, you can’t unsee), but I loved it too much so I ignored my aunt’s comments. I got the top tailored and they added some beads to it as I thought it was too plain before. The skirt was too long but we couldn’t get it altered because of the lace so it was slightly uncomfortable walking around. I paired my flared Baju Kurung with this pair of tassel earrings from Lovisa. They were super inexpensive and on sale! It matched the exact colour of my top and was the perfect accessory. For my other outfit, I opted for the ever-so-trendy hoop earrings. Almost everyone on Instagram had these and so I decided to wear my Lace Baju Kurung with this. It went well together with my round sunglasses and the rose gold definitely showed off the my necklace and bracelets. 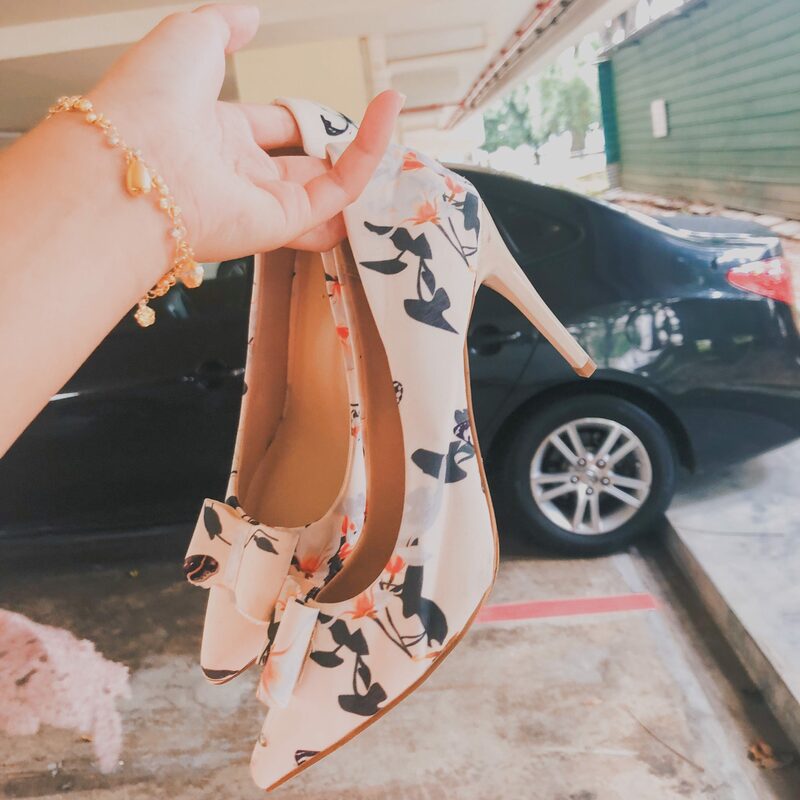 For my shoes, I wore these heels from Vincci. They were floral patterned and the white went well with my outfit. Unfortunately, a few days later, I lost the left side of my shoe and found out that it had been crushed by a car when I accidentally dropped it in a carpark. Rest in peace. 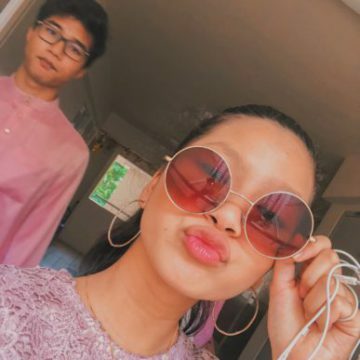 I had a really fun Hari Raya this year and got quite a lot of money from that too, hehe. Selamat Hari Raya too all those celebrating and Happy Holidays to my Non-Muslim friends.